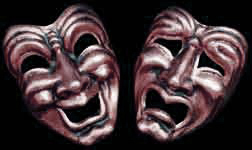 Artists: shows for the 2013 Bal du Masque in Tivoli shall be announced soon! Gallerie: needs to be updated most definately!! 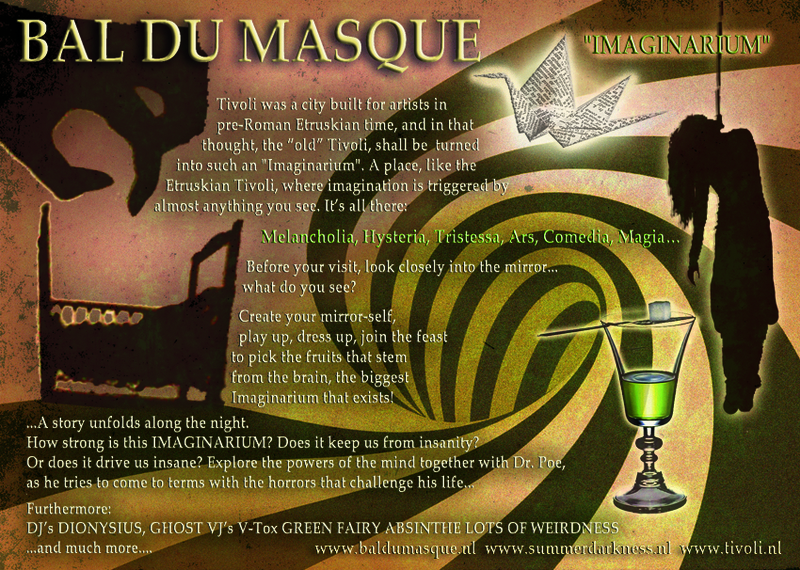 Reservations: we don't take reservations for the Imaginarium Edition of the Bal du Masque in Tivoli! 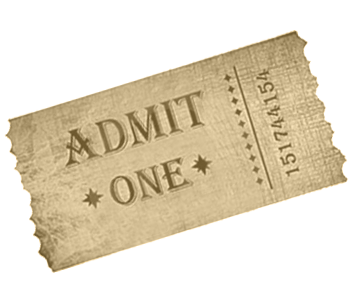 Click on the ticket to order your entrance to the Bal du Masque, tickets are 15 euro, feel free to click and order, we look forward to welcoming you in the Tivoli! Good day to you all, Dark Folks! 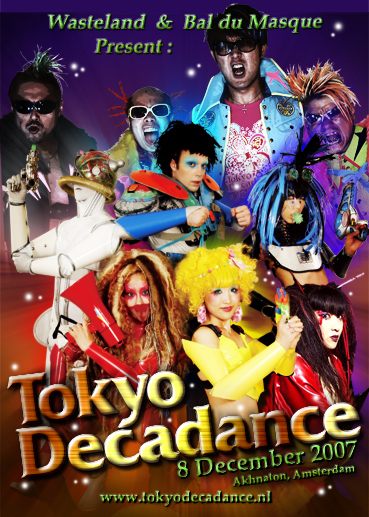 We regret this very much, but they can't kill us, we're already dead, so the party is ON nevertheless! VOC-Kade on Oostenburg close to the Czaar Peter Straat and Piet Heijnkade. Close to the Theater Fabriek. Tram 10 and 26, Bus 22 and 43. Enough parkingspace (2,50 per hour till 00:00 0'clock). MOVIE will start at 20:30 in the Elephant Tent. We will have PUMPKIN DINNER available during the movie and possibly midnight snacks afterwards. 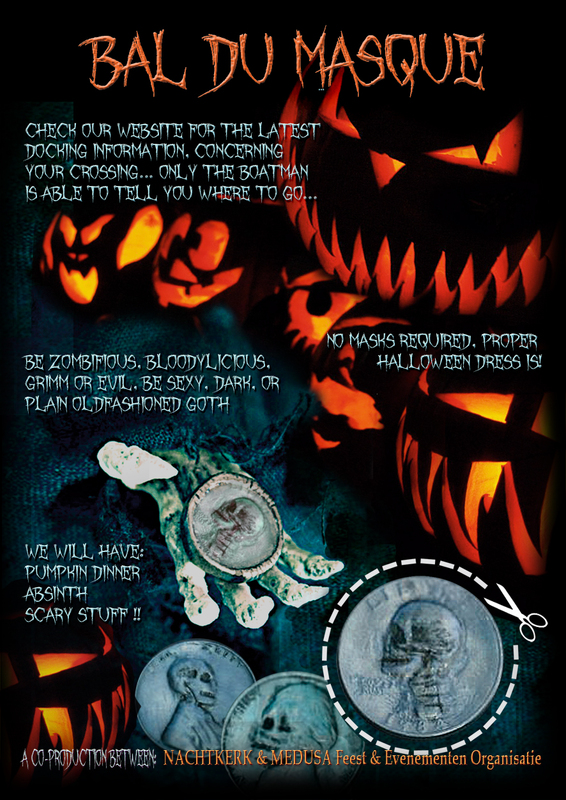 Come Zombified, come Halloweened! 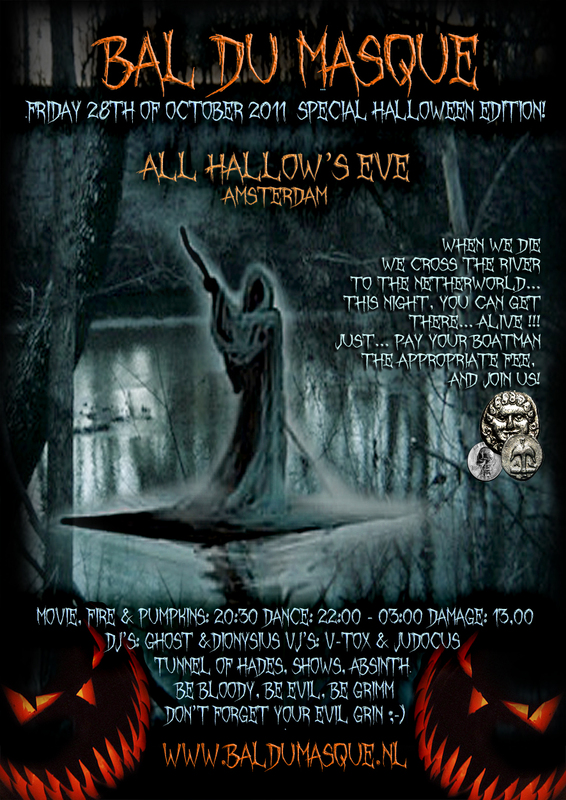 Come and make your dresscode fit the Halloween Spirit! NO MASKS REQUIRED this time! No masks required, speciall Halloween Dress is! 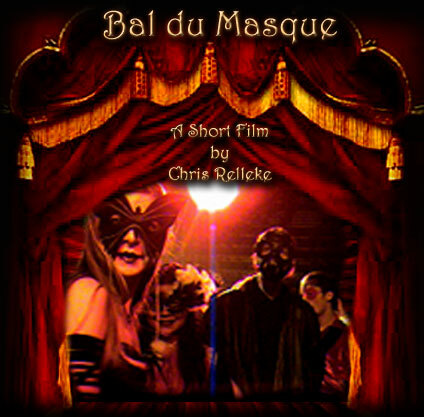 Once again the BAL DU MASQUE @ Summer Darkness was a success! 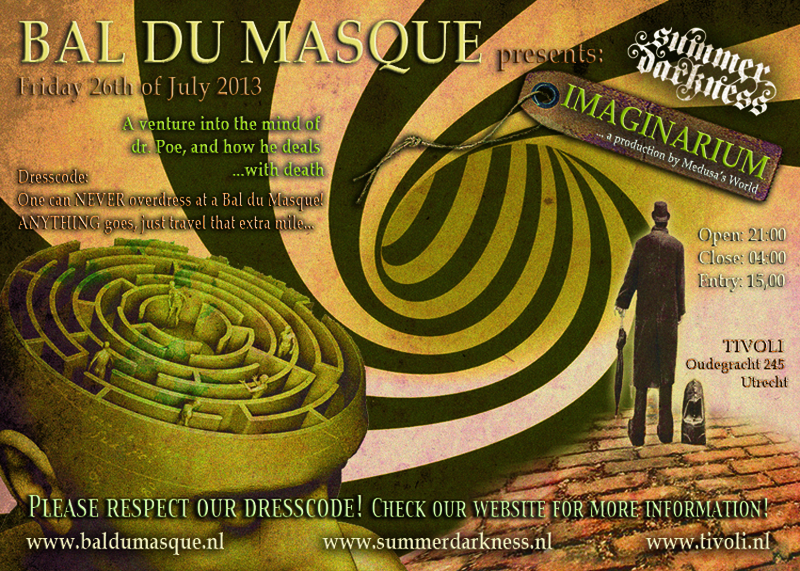 This thursday RTV Utrecht broadcasts a special about the Summer Darkness Festival with a lot of attention for Bal du Masque as well. 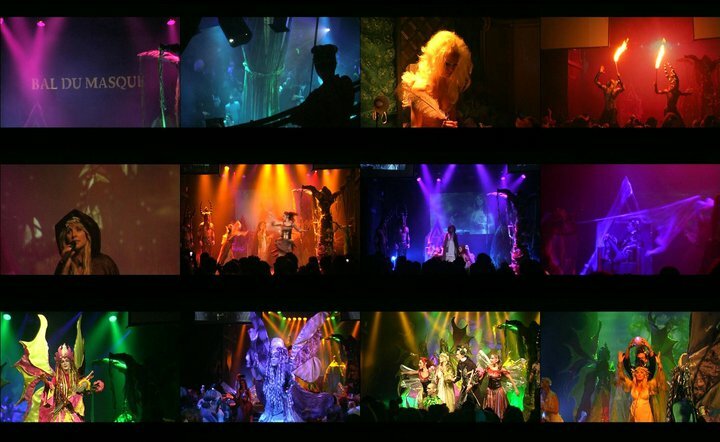 Here you can see their Photographs, and here is the Broadcast. PHOENIX was wonderful. It supplied us with a revival of true underground feelings, thanx to all of you! Pictures shall arrive on www.fromtheashes.info. 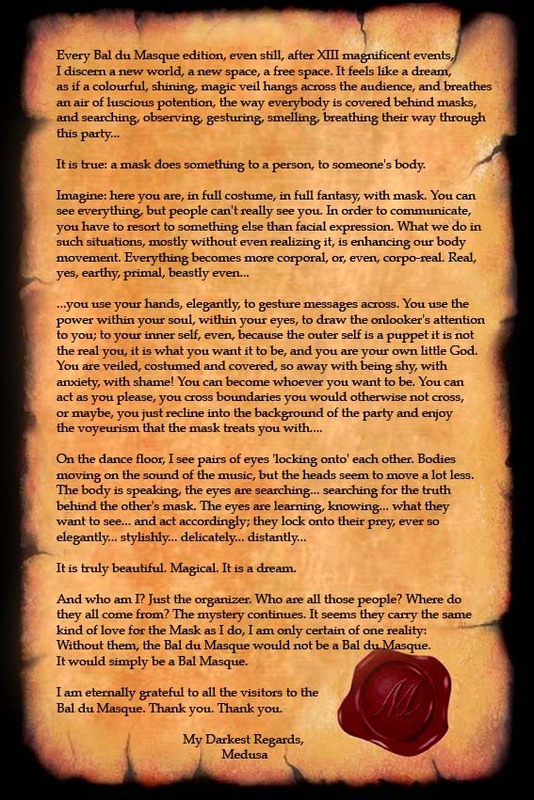 NEWS: Read about BAL DU MASQUE in BIZARRE |Magazine! 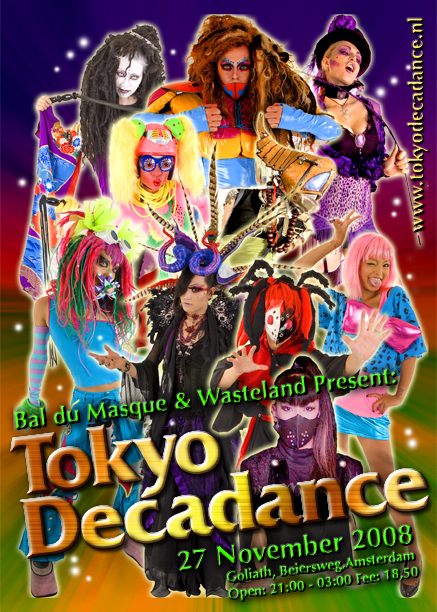 We are very exited about the birth of this new party, that we organise in cooperation with the Wasteland Party! They will give you 10 euro discount on the rental price with our flyer. There will often be several market stands. 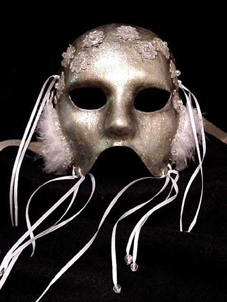 People can buy masks at the door, prices vary from 7,50 until 65 euro's. We will go on untill 04 o'clock, and maybe even later. Have a nice party people! Keep the Mystery alive! !